Now Dean and the John Jeffers Research Chair in Law at the University of Texas School of Law, Ward Farnsworth taught for fifteen years at the Boston University law school, where he also served as Associate Dean for Academic Affairs. He is Reporter for the American Law Institute's Restatement (Third) Torts: Liability for Economic Harm. His other books include The Legal Analyst, Torts: Cases and Questions (with Mark F. Grady), and Farnsworth's Classical English Rhetoric. 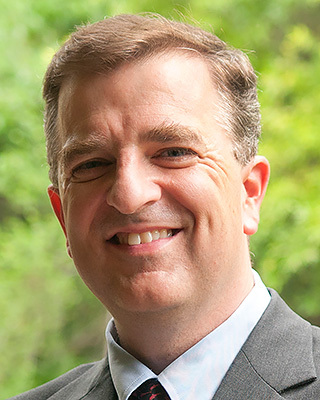 He has published scholarly articles on a range of topics in the Columbia Law Review, the University of Chicago Law Review, the Michigan Law Review, and various other journals. He graduated with high honors from the University of Chicago Law School in 1994, and afterwards served as a law clerk to Anthony M. Kennedy, Associate Justice of the United States Supreme Court, and to Richard A. Posner, Chief Judge of the United States Court of Appeals for the Seventh Circuit. He has also served as Legal Adviser to the Iran-United States Claims Tribunal in the Hague.